While waiting for the glue to dry on another project recently, I made the simple “plane till” shown below. I used some scrap birch plywood, cherry and mahogany scraps, some glue, and here it is. 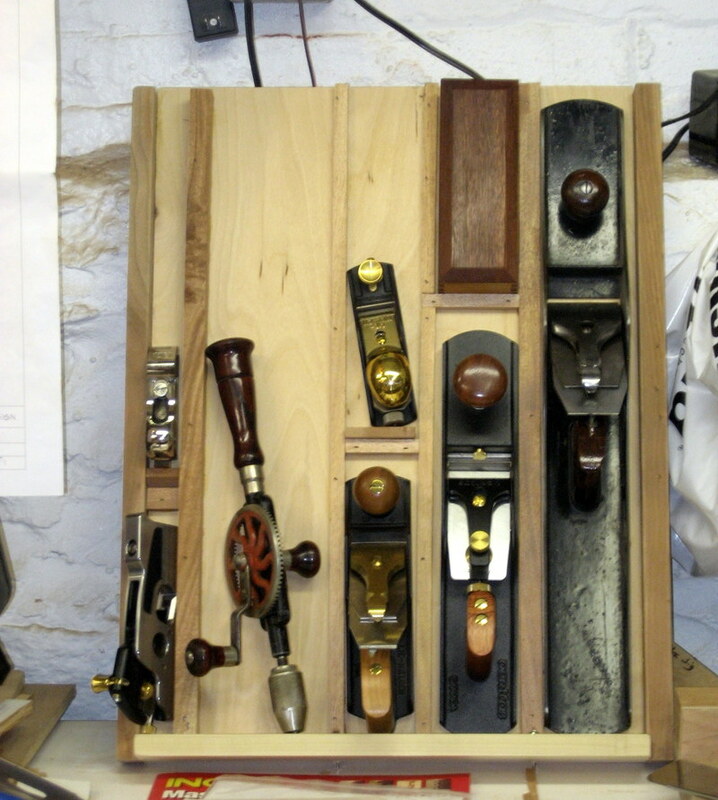 The purpose of the till is to keep the planes and hand tools that I use most frequently “at hand.” The till is screwed at a slight angle to the surface of one of my workshop’s side-tables so that it cannot fall over. So far, I find it very useful. Posted on April 9, 2007, in Tools and Shop. Bookmark the permalink. Comments Off on Plane Till.